Imagine yourself as a 22 year old who loves the game of basketball. You have just represented your State at the Senior Nationals. Your future is bright and there is a strong chance that you will one day play for the country. What would you do in such a situation? Would you continue to play? The answer seems pretty obvious: Yes. However, one 22 year old dared to think differently. 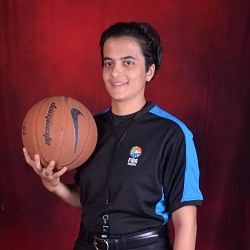 She decided to try and become India’s first FIBA certified international woman referee. Snehal Bendke achieved not only this dream, but went on to set many other firsts, notably becoming the first Indian referee to officiate at the Olympic Games. 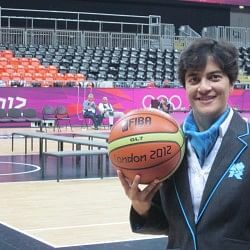 Read on to find out more about Snehal Bendke: what drives her ambitions, her journey into basketball, the charms of refereeing, her London 2012 experience and a whole lot more. Have you played yourself? Tell us about your journey into basketball. I played for Maharashtra at the senior level. I used to play at the post. I only started playing basketball in 11th standard at a summer camp for fun. Kolhapur is not a big city and I come from a joint family culture. First, they refused to let me go to the summer camp, but then one of my cousins who used to play basketball himself got me permission to attend the camp. A few months later, I had the chance to play at a State level tournament and was selected for the u-19 Nationals, where we won a bronze medal. When you decided to take up refereeing, you were only 22 years old. Normally, people wait till their 30s or after retirement to take up the whistle. What prompted you to choose refereeing over active playing? It wasn’t in my mind about becoming a referee. 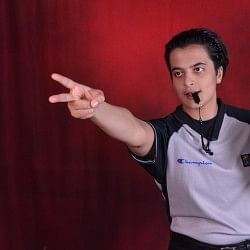 My coach Sharad Bansode, who has been the backbone of my career, asked if I wanted to officiate and give the referee exam. I vehemently objected (“What sir, I don’t know anything about it”). He responded by saying “Just give it, whether you fail or pass, doesn’t matter”. So, I first officiated at a club tournament in Meerut. As I started officiating, my interest gradually increased. You are India’s first woman FIBA referee along with Shibba Maggon. Tell us about the selection process. My first step was to clear the Maharashtra State Qualified Referee’s Examination. Each State has its own exam. In Maharashtra, there are 2 exams, B panel and A panel. Other States may not have 2 exams. It depends on the State Policy. Also, to give the referee’s exam, you don’t need to be a State player. You just need to be aware of the BFI Rules and be in the age bracket of 18 to 35 years. Once you clear the State Exam, you need to pass the Central BFI exam (both B and A panels). From this pool of BFI qualified referees, after an assessment of their performance, BFI forwards its recommendations to FIBA. As of today, there are 20 FIBA qualified referees from India, out of which there are 2 women, Shiba and I. Fitness Test/Beat Test: This is the most important test. Here they play a rhythmic set of beats while you run 86 laps in 10 minutes, with each lap being 20 metres. Officiating test games: We are made to officiate test games to assess our in-game refereeing skills and temperament. English Exam: This is basically a grammar and English language test. 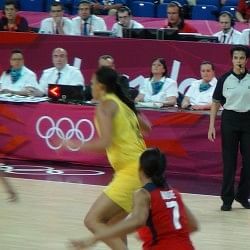 In international games, you have to officiate games that involve players and co-referees from different nationalities. So, clear communication in English is critical. This is the advantage that referees from India have over referees from other South East Asian Countries and China, where English never really caught on. Interview: Then you have an interview with Mr. Lubomir Kotleba, FIBA Sports Director. This is a general personality interview and questions can range from the game to personal and professional life. You have to also renew your FIBA licence after every Olympics. After the London Olympics, there was a Refresher Clinic in Delhi. 16 existing referees passed this exam and had their licences renewed. There were also 4 newcomers. 5 to 6 referees are still to give the refresher exam. How many games have you refereed? What is your schedule like (daily/monthly)? As of today, I have refereed around 74 local tournaments. Each tournament has around 15 games, so you could say I have officiated more than 1000 local games in total. The tournaments in India are of the following kinds: mini (under 13); youth (u-16); Junior (u-18) and Senior nationals. Apart from this you have the Federation Cup in which the top 8 teams from the Senior Nationals take part. This is in January end or February. Then there are the National Games in March and the invitational/memorial tournaments like the Savio Cup, Chennai Cup and the Ramu Memorial Tournament. Internationally, there are tournaments in Asia and Europe. BFI’s technical members nominate referees for Asian events based on past performance and the level of the tournament. Only 2 referees are allowed from each country. I have officiated in 7 championships so far, each with 10 matches. So around 70 international games. My schedule revolves around these local and international tournaments. I am at home 10 days in a month. What do you like most about refereeing? What is more exciting, playing the game or refereeing? Officiating is a challenging job and I love challenges. A player can make mistakes. He has a chance to recover. A referee doesn’t have that chance. He/she has to give a decision in a fraction of a second. I can’t say I am perfect but the basic philosophy when it comes to officiating is that we have to reduce mistakes and not increase it. Officials are also human beings and 2-3 mistakes are allowed. In my first tournament as a State official in Pune, I made a lot of mistakes. You learn by making mistakes only. I have a “learning hunger” so to speak. If you have such hunger you can do anything. THE THIRD TEAM OF A BASKETBALL GAME: Snehal with co-referees from Korea, Chinese Taipei and Singapore at the Youth Asian Championships, China, 2011. What are the qualities of a good referee? Some referees like to get friendly with players from both teams to ensure the atmosphere doesn’t get heated up. Considering your young age, do you have friends among the active playing community? How do you deal in such situations when you have to officiate in a game that may involve your close friends? It’s important to keep distance from players. Getting too friendly with one or two players has an (adverse) effect on the game. You have to remember that you are a professional. Of course, if players have doubts then referees can clarify it to the players. This is fine. It is part of the game and is needed as well so that the players can improve. I haven’t seen referees mingling too much with players. In fact, we are our own separate group. It is a little known fact that in a basketball game there are actually three teams: the 2 opposing teams and the 3rd team of officials. Not many people notice that during games, referees maintain constant eye contact and encourage each other. Tell us about your memorable personal experiences as a referee. Have you had to deal with any awkward or hostile situations in games? I have never felt any difficulties as such. No game had to be stopped. There are many good moments. For example, at the Chennai Asian Basketball Championships (ABC), I officiated a game between Kazakhstan and Malaysia, a close game which Malaysia won by 1 or 2 points. This was my very first international game and I remember we officiated as a team. Then the Women’s Junior ABC Finals in Thailand, which was the happiest moment for me after the Olympics. Moving onto the Olympics, it must have been a memorable occasion when you found out that you would be part of London 2012. I was sitting at home and watching TV at 11:30 pm on a Sunday. A Senior Official calls me up to congratulate me for getting selected as a referee for the Olympics. I said “masti mat karo…this is not the time for it!” I go and check Facebook and see FIBA Asia Director’s congratulatory message. I didn’t sleep the whole night. When I started playing, I used to watch the Olympics. I never thought one day I would get to take part as a referee. After 4 years of officiating with FIBA, my dreams came true. They didn’t tell me much about the selection process, but I imagine that it must have been based on past performances. Was it tougher officiating at the Olympics? Because from what you have been telling me, referees work as a team, and here I imagine you were meeting the other referees for the first time. So was it a problem getting along with the referees from different nationalities? At the Olympics, there are many referees from other zones. The very first day you have a meeting where everybody is introduced. Within 2 days, we got very friendly and co-operative with each other. It was no problem at all, everybody was very supportive. There is a system of “instructors” in place. Before and after games, we have meetings with these instructors who are retired senior referees with over 35-40 years of experience. These instructors never criticise, but very humbly ask you about what (decisions) you called (during the game). This system of mentorship really helps referees improve their performances for the next game. This instructor system is fascinating. I’m pretty sure, we don’t have it in India? (Laughs) At the Asia level, this was started just before the Olympics. The level of competition at the Olympics is much higher than matches played between Asian countries. 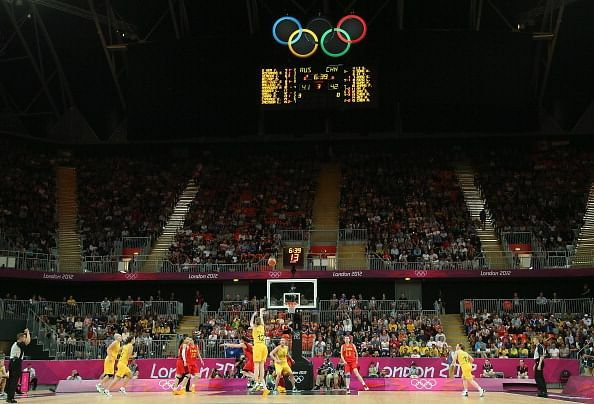 The teams from Europe and the Americas play a much faster and physical brand of basketball. How did you adapt to refereeing these games? On the first day, I had to officiate a game between Croatia and USA. I was a little nervous, but when you start refereeing, things settle down and you forget your nervousness, just like any player. I did 2 USA Women’s games. USA’s is a very fast game with a lot of running and the standard of the game is very high. But officiating their games was quite easy as they don’t foul much. It is what we call “genuine basketball play”. Did you have a chance to meet the famed USA men’s team? Did you see them play? I saw Kobe Bryant from a distance of 15m and I was like “OMG….no words to express.” The Olympics brings together every top player from each country. I used to watch these players and events on TV or on the internet and I cannot express my words…It’s a dream. I didn’t take autographs or pose for photos because in a pre-game meeting we were given specific instructions to not mingle with the players (as it could be construed otherwise). As a spectator, what were your standout moments? Did you get to watch Phelps, Sushil Kumar or Bolt in action? I got a pass and saw Usain Bolt in action. I also watched Sushil Kumar’s Quarter Finals. I couldn’t go for the semis and finals because the same day I had to officiate a women’s semi-final game. I also saw Saina Nehwal’s Quarter Finals. Is refereeing well-paying? Is it a viable career choice for those interested? Unfortunately, in India, refereeing can only be something you can pursue on the side and not full time. All the referees I know are working in companies, some in the government sector, or else are physical directors or assist in their family businesses. Even I engage in my family business when I am at home in between tournaments. I am in charge of the accounting and billing. At times, even while I am at any tournaments, I help out over phone to resolve any issues. After you qualified as a FIBA referee, are there other women following in your footsteps? When I was in Pondicherry recently, I came across 3 young female referees from MP and Kerala, who are BFI qualified. Let’s see how interested and passionate they are. What are your plans for the future? Do you wish to continue refereeing? If you love the game, you can’t go away from the game. I plan to continue refereeing for a long time to come. You learn something new from every game and this learning never really ends. The Olympics was a high achievement, but I can’t stop there. I want to officiate in more international finals, as well as in the Euro League and the WNBA. We thank Snehal for her valuable time in giving this interview. It takes tremendous courage, discipline and determination to come first in any field of competition, but it takes something more to be a pioneer in any field. Congratulations Snehal on your unique achievements. We wish you an even brighter and successful future.